This is the outline of our linear workflow. It works for both Fusion and Nuke. Setting up our linear workflow is relatively straight forward. Inputs and outputs are 10 bit dpx files. the log to linear operation on the input is inverted for the linear to log operation on the output. Composite with a floating point colour depth. There are two methods for viewing the composite. No LUT file. Without a grading LUT the only option is to apply a simple gamma to view the composite. LUT files. If a Colourist is involved then the linear image MUST be converted to a log plate before the LUT file is applied. So cameras work in Stops and composite packages use Gain. To convert between the two we need to do a bit of log maths. Heres how. Grading artists LUT files in Fusion. This in depth article covers ways to use a grading artist 3d LUT file to view your work in Fusion. It’s shows alternatives to using stacked LUT’s, and shows how to test your workflow for clipping. 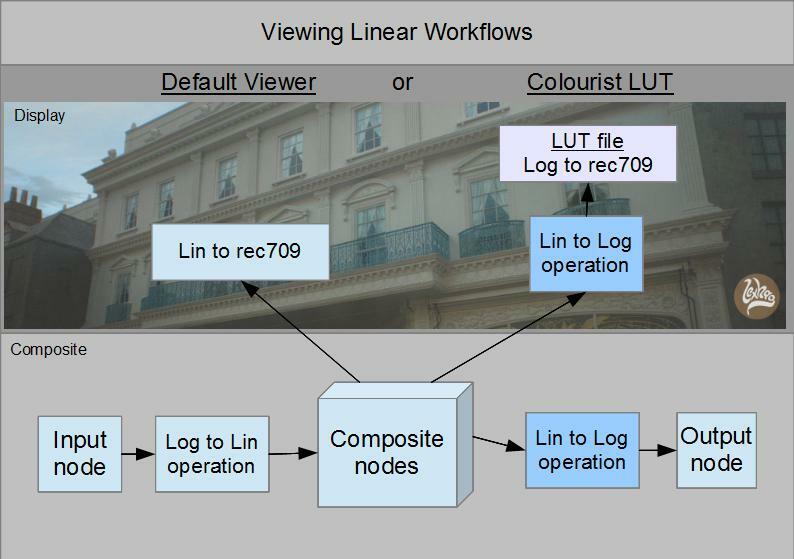 It’s part of a series of articles on Log colour and Linear workflows in fusion. We’ve been looking at a tigher workflow between the Quantel suite and the compositors at Lexhag. 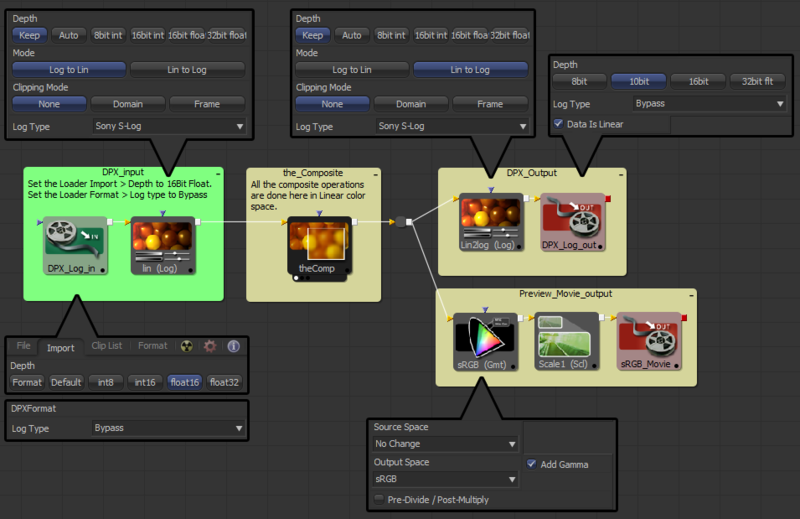 While setting up the linear workflow for DPX sequences and LUT files. I noticed some clipping issues in the viewport and started this thread at pigsfly.com. That thread grew into this document from some work arounds suggested by Eyeon’s tech support (who have been awesome), some head scratching, and a bit of maths. As a result this problem has been fixed in the latest version of Fusion. This will show you step by step the basic Log color to Linear color workflow I’m using in Fusion. It replicates what the DoP and Director saw on their monitor when the footage was shot. It’s short and sweet. But I have links to good articles if you want to know more about Log colour. Now with latest version of eyeon Fusion working camera LUT’s couldn’t be easier. The profiles are all included. The my new workflow is very simple.